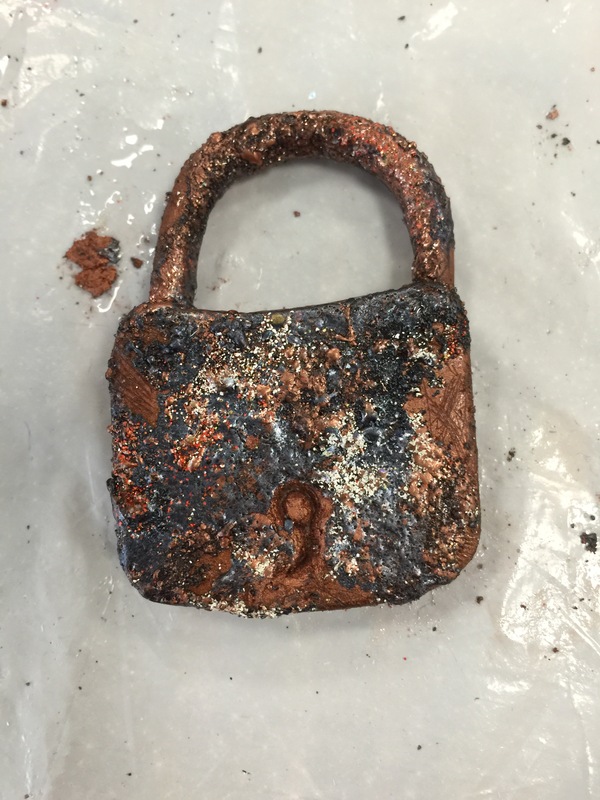 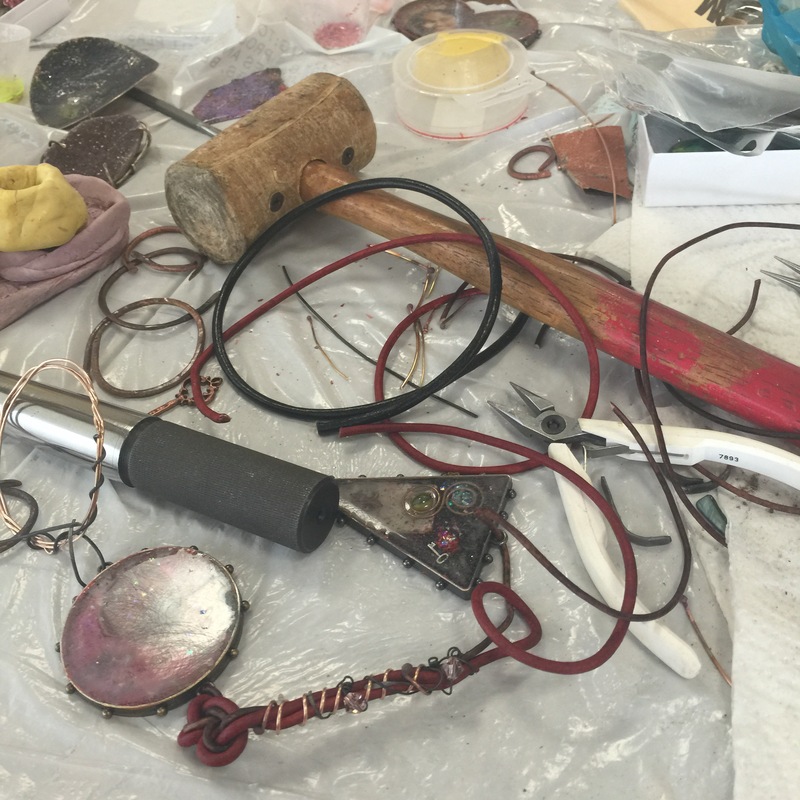 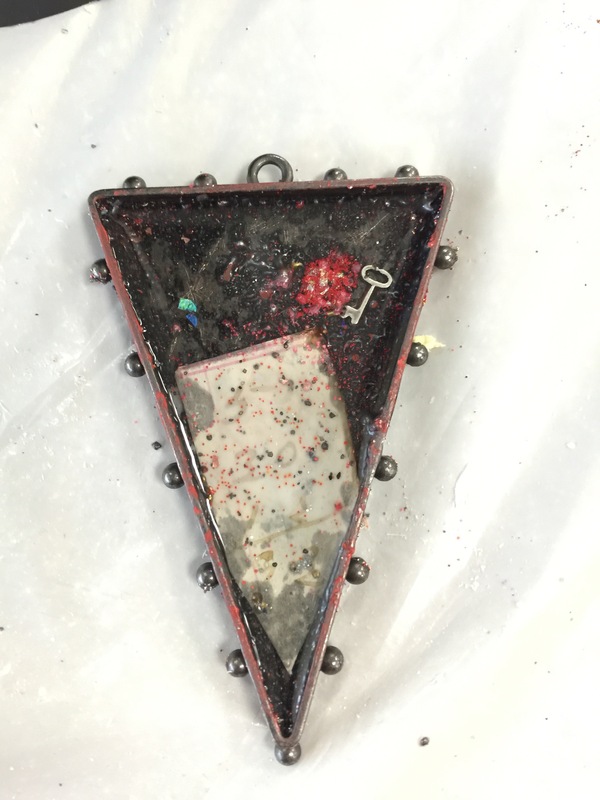 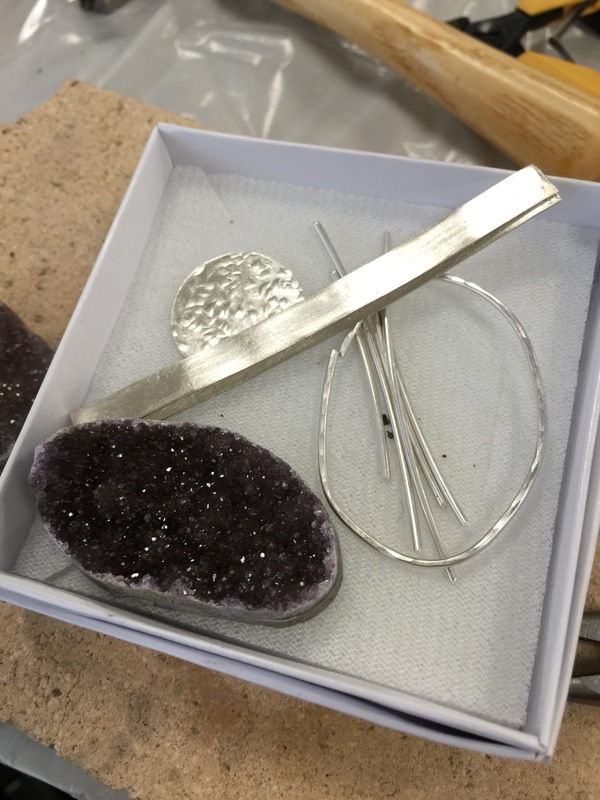 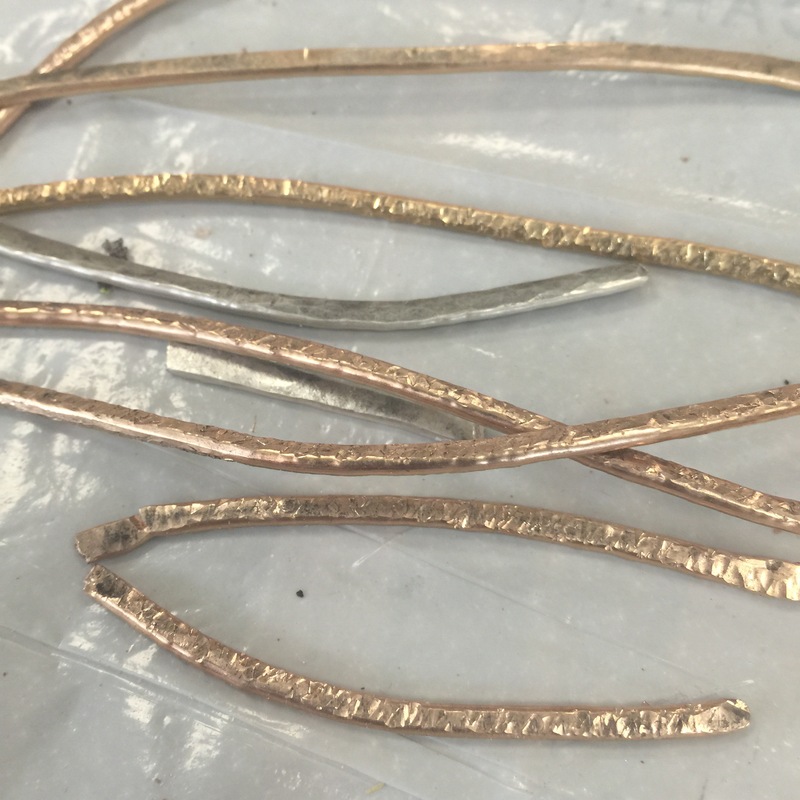 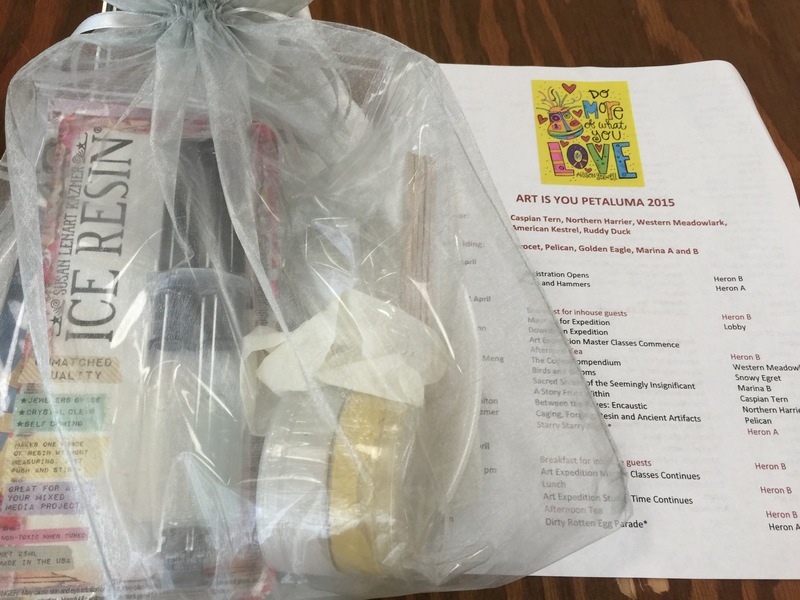 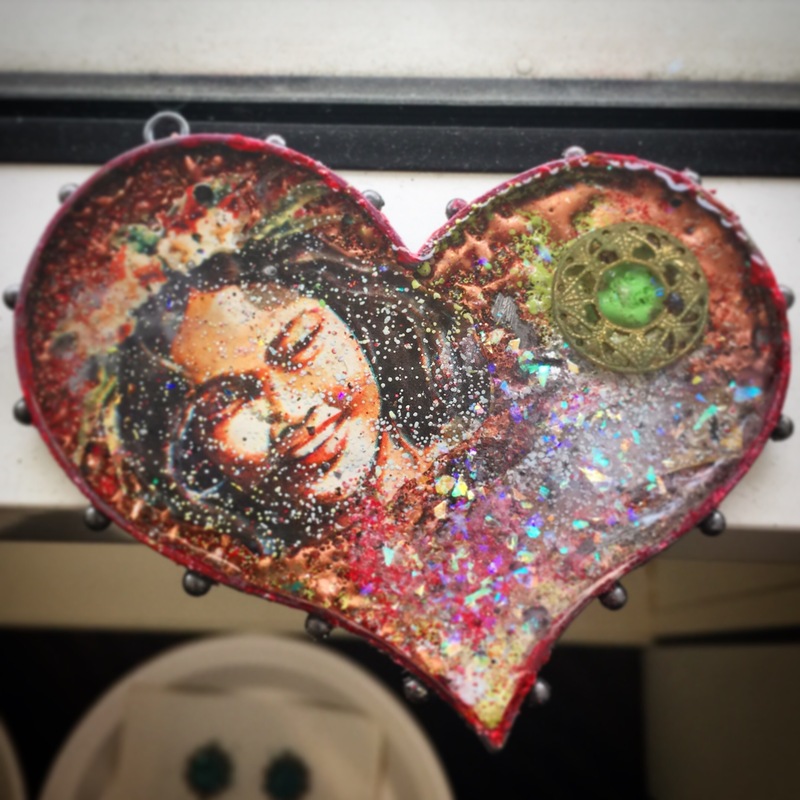 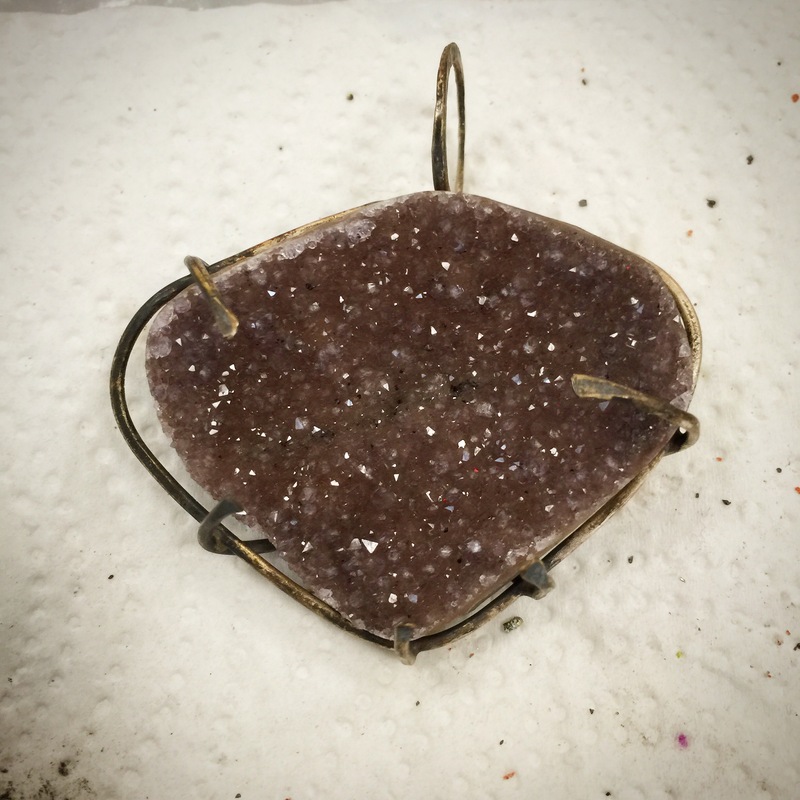 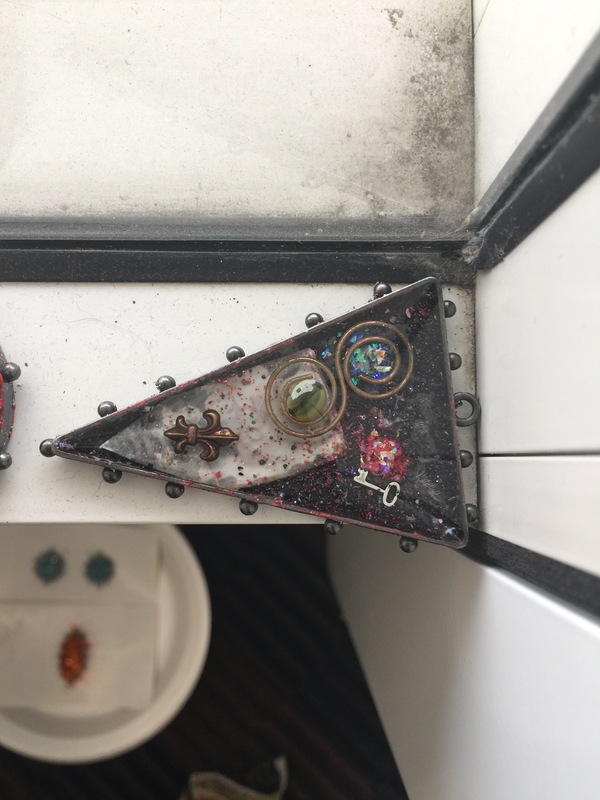 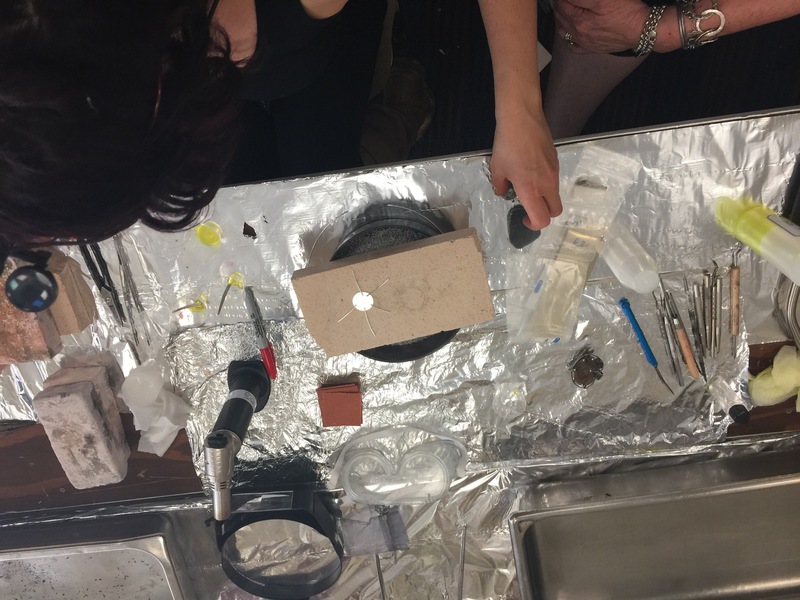 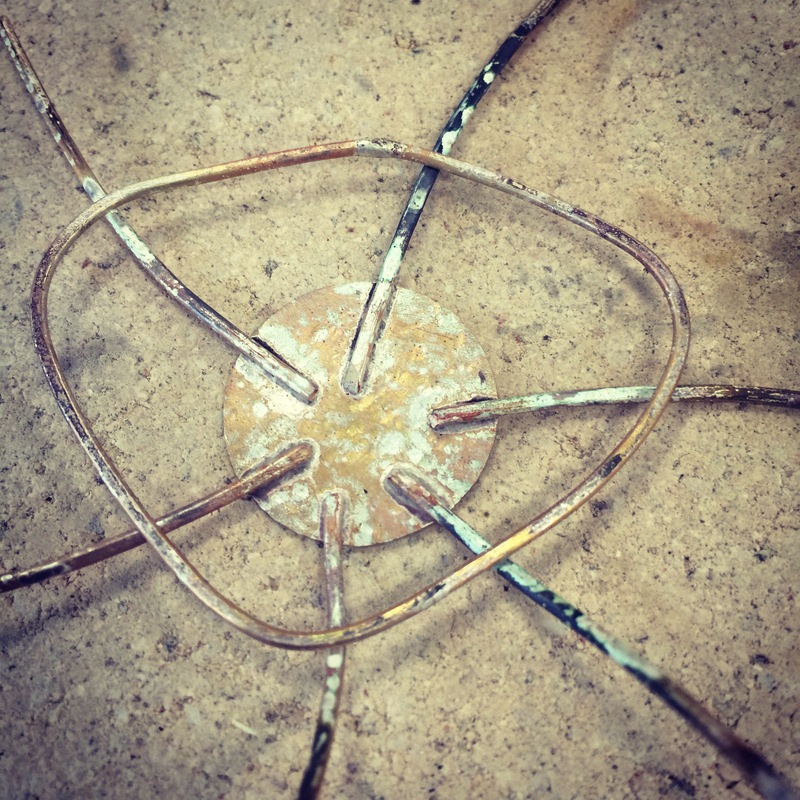 April marked my 3rd year at ART IS YOU Petaluma edition, and I chose a three-day workshop Forging, Resin and Ancient Artifacts with Susan Lenart Kazmer because I wanted to learn caging. 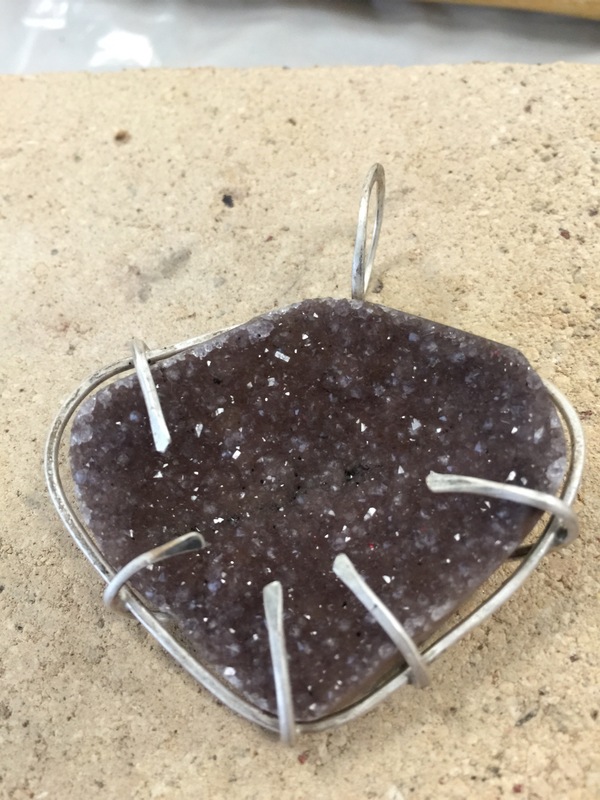 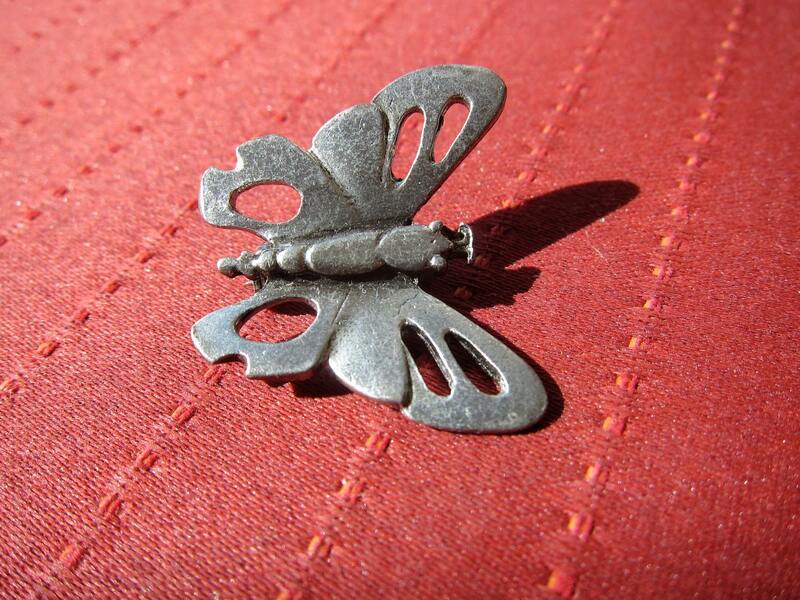 Susan is a silversmith of 20+ years and makes beautiful art jewelry. 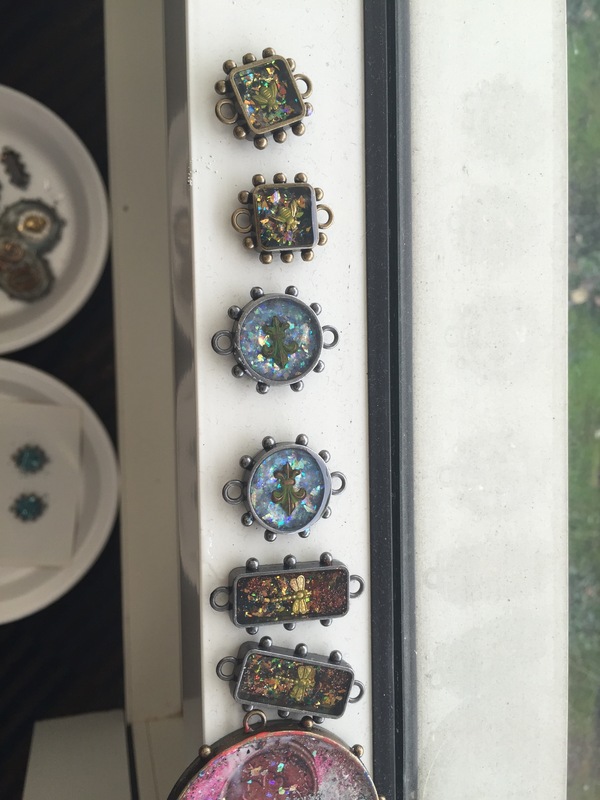 Unbeknownst to me, Susan is also the Queen of Resin, being the matriarch of Ice Resin. 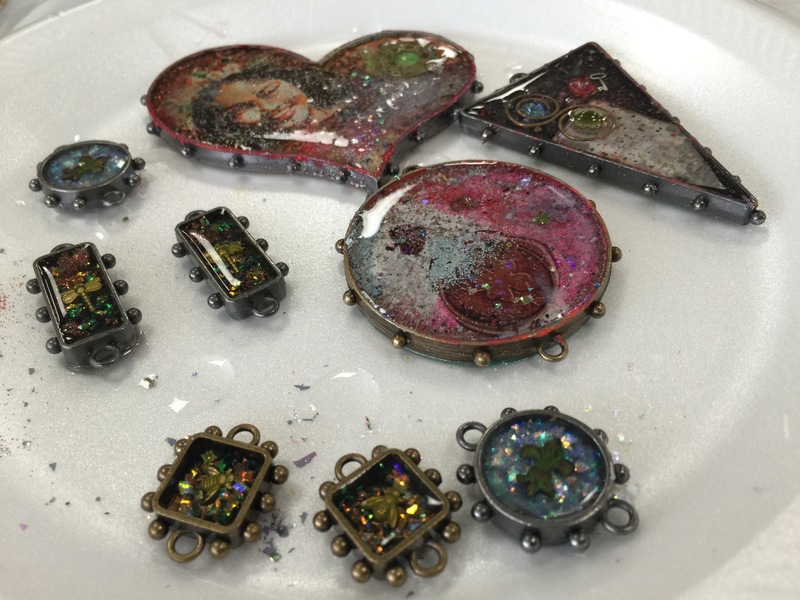 For the first day and a half, we played heartily with resin and bezels. 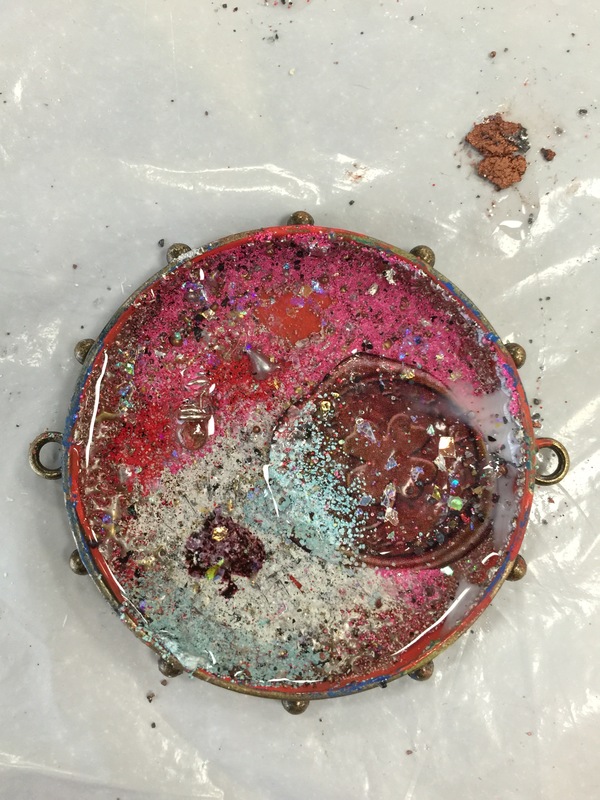 Casting our own, using copper and premade metal bezels to create wonderful sgraffito on wax enamel. 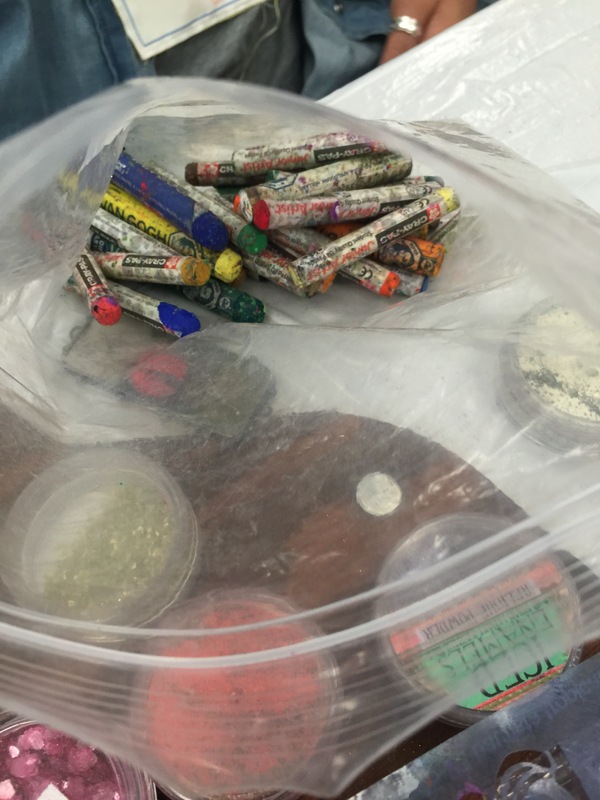 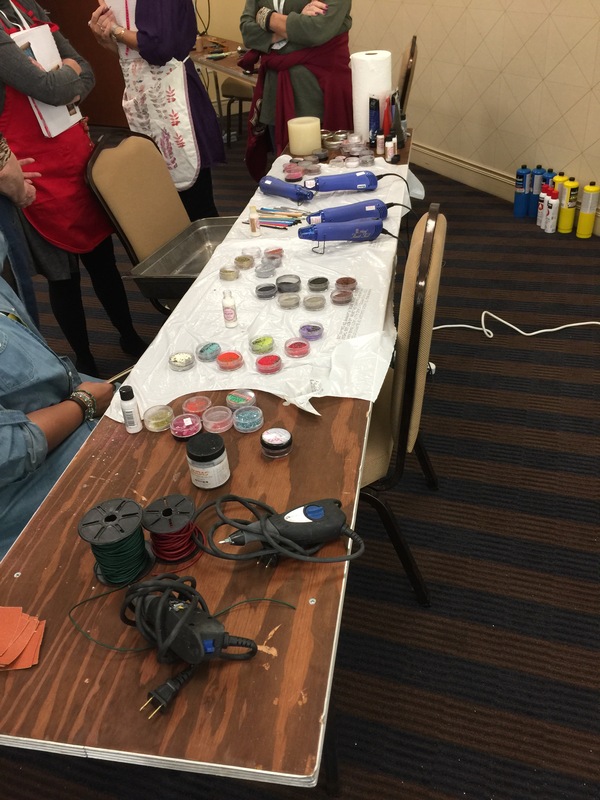 What fun we had with powders and pours! 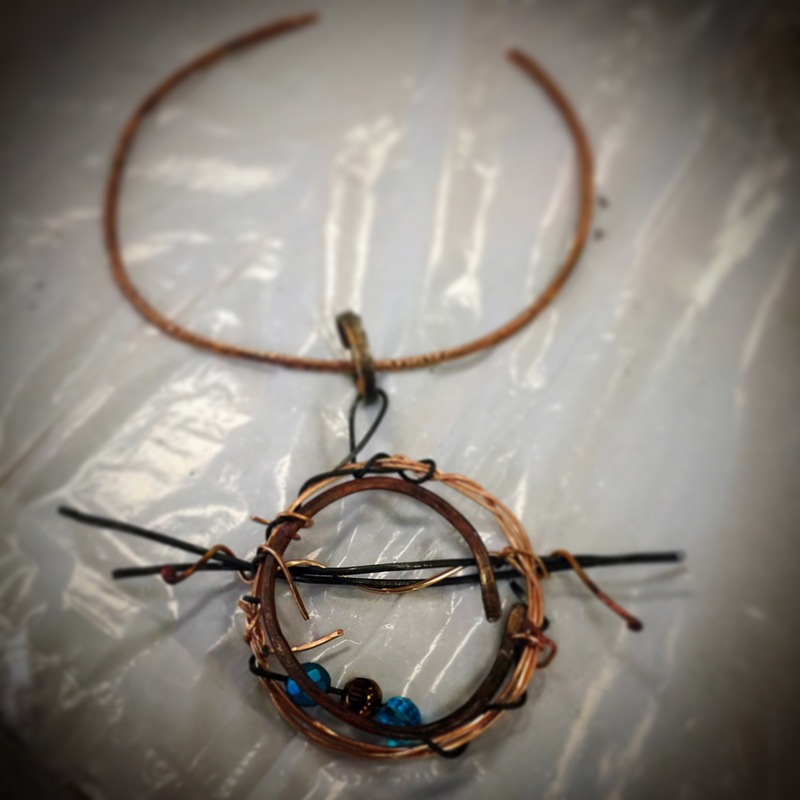 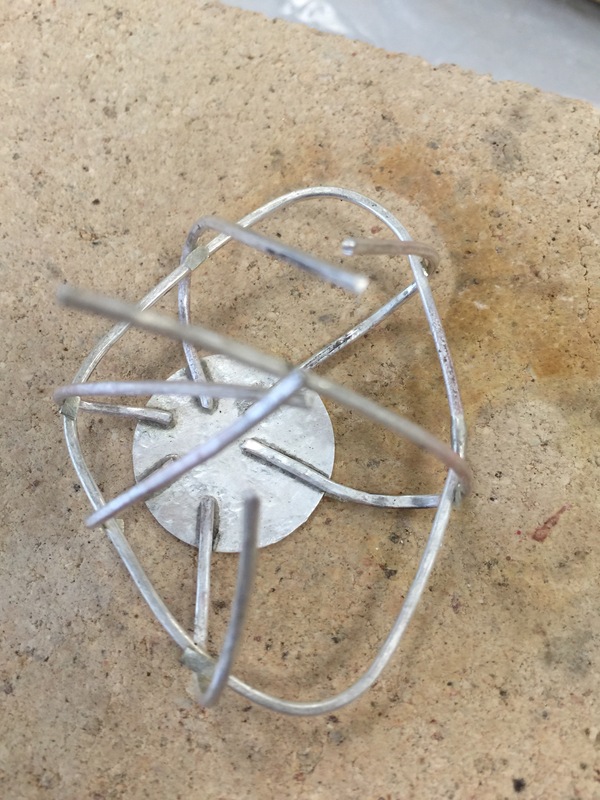 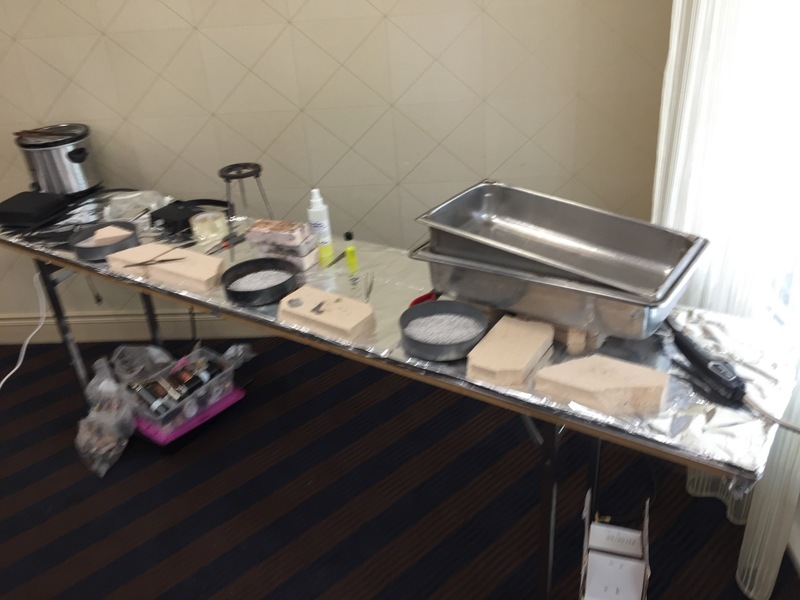 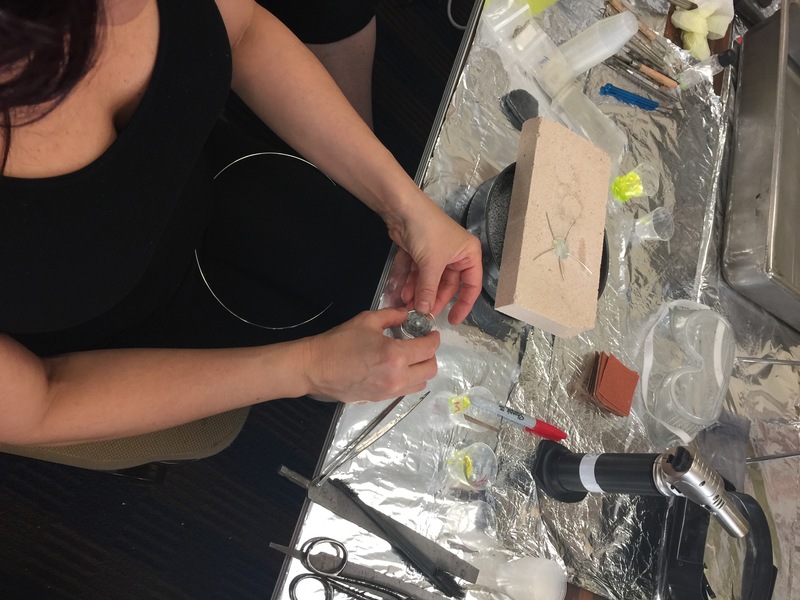 The second half of the workshop focused on caged settings and then the last hurrah of putting together all of our creations into fantastic jewelry art pieces. 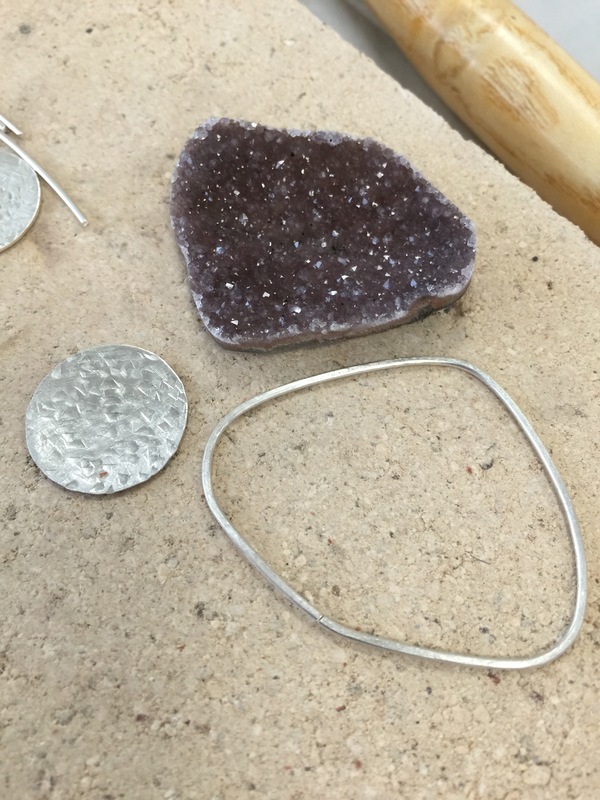 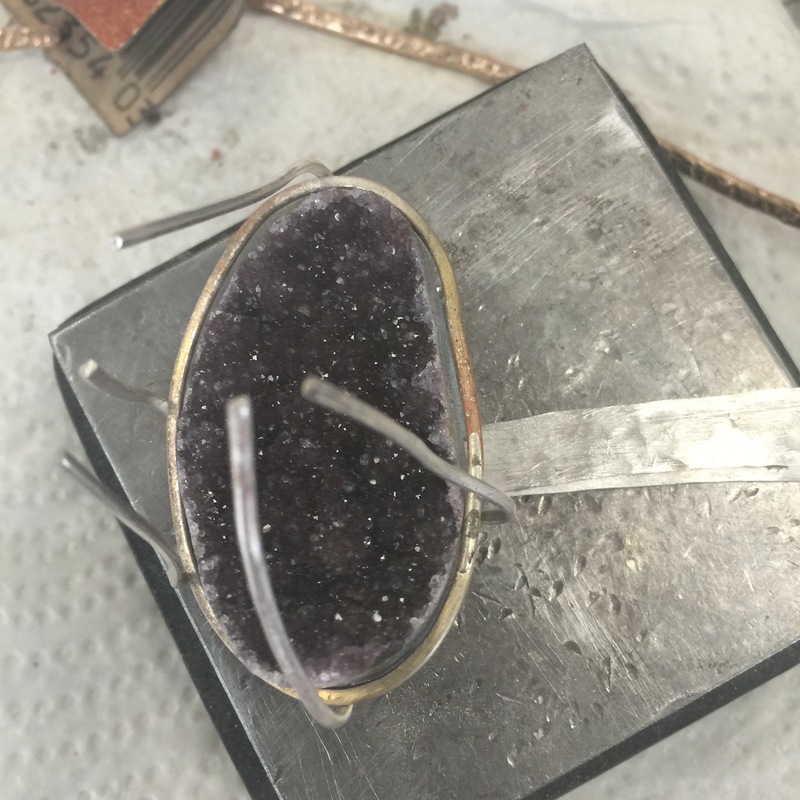 My almost finished pieces included a copper and white bronze collar, resin bezel drop necklace and a stunning (IMHO) caged sterling silver amethyst druzy ring. 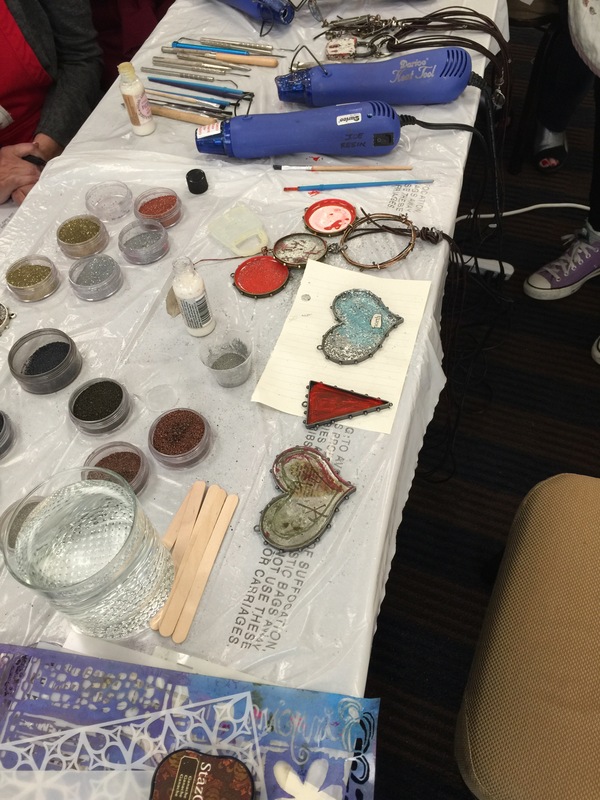 The skill set I learned is what was truly exciting. 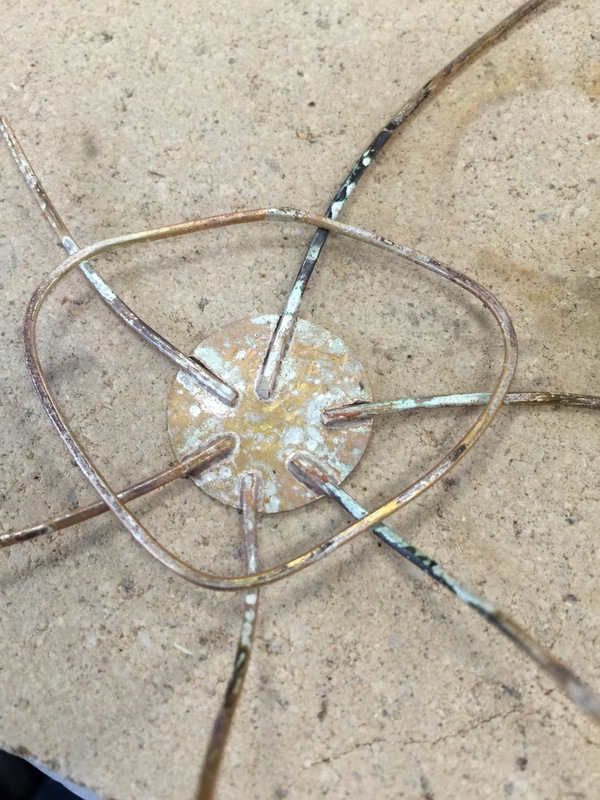 I have a few new works in progress and some of the loose elements will end up in finished pieces.